Tension headaches are a very common form of headache. The source of the pain can be located over or behind the eyes, at the base of the skull, in the neck, and in the muscle groups of the face. Most tension headaches are associated with pain on both sides of the head. Tension headaches can often be recurrent or chronic. Patients often describe them as extreme pressure around the forehead or head. They can also be associated with throbbing, stabbing, or grinding pain in the facial muscles. 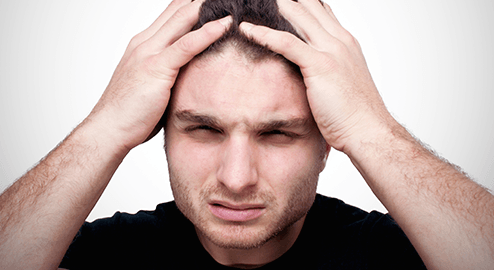 Tension-type headaches are categorized as either episodic or chronic. Episodic tension headaches can last from half an hour to several days and occur fifteen days a month or less. More frequent pain episodes are termed chronic tension-type headaches. 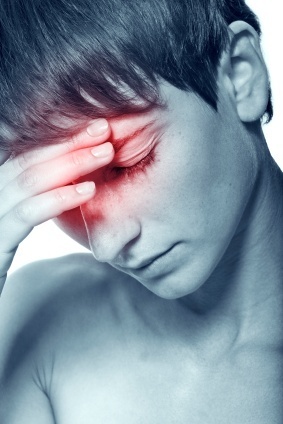 Chronic headache may be a constant source of pain. Tension headaches may be milder than other types of headaches, such as migraines, but they can be disruptive and distressing nonetheless. They are associated with a loss of concentration, irritability, and increased sensitivity to light and sound. This type of headache is associated with many factors, for example eyestrain, stress, and hunger. Tension headaches can also be a result of sleep deprivation. They are also associated with jaw problems, such as teeth grinding or clenching. Unlike migraine and other types of pain, tension headaches are not strongly associated with one specific major nerve group. It is associated more often with muscle strain in the jaws or temples, transmitted to the brain by a variety of nerves in the skull or brain. These include the occipital nerve, the sphenopalatine ganglion, and the trigeminal nerves. Oral analgesics, or pain-relieving drugs, are a popular solution for tension headaches. 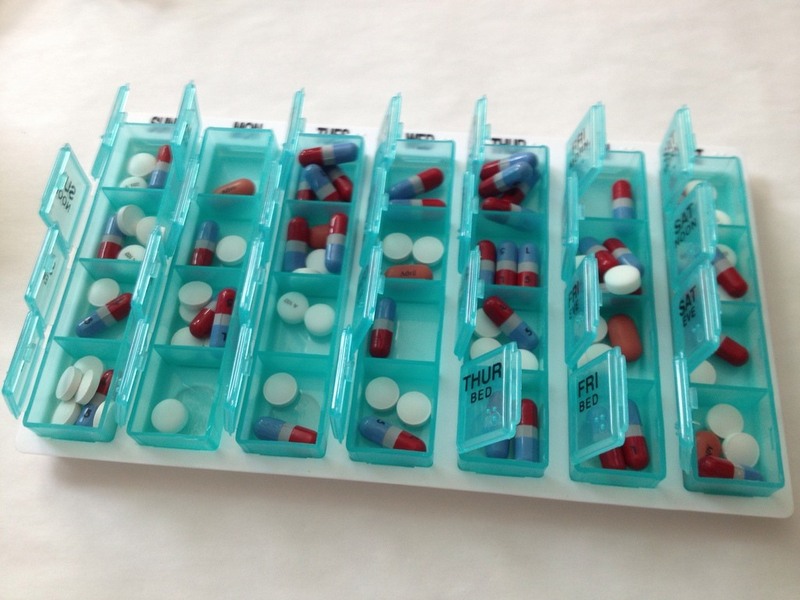 These include non-steroid anti-inflammatory drugs (NSAIDs, e.g. aspirin). However, NSAIDs increase the risk of organ failure if they are taken long-term. Acetominaphen is also effective in treating tension-types headaches, though it may also cause liver failure if abused. Carbamezapine, an anticonvulsant, is also an effective treatment. It can have severe side effects however, including skin irritation and allergic reactions. These reactions damage skin and the internal organs, and are more prevalent in people of Asian descent. Antidepressants, such as venlafaxine, can also be effective in treating tension headaches. Other non-drug techniques have been shown to be effective in treating tension headaches. Acupuncture is one example of these. Another is biofeedback, in which the patient is shown measurements of various relevant vital signs recorded during a headache. These can include brain activity, measured by electroencephalograms (EEG), and muscle tension, visualized by electromyography and sweat production (galvanic skin response). Stress and tension affect these readings. By seeing these graphs, patients can better understand the physiological changes associated with their headaches, and learn to control them through relaxation. 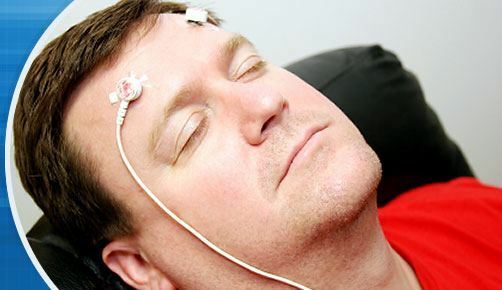 Biofeedback may need to be practiced in a health center at first, but over time, patients can implement the technique themselves, with or without viewing the measurements. Biofeedback can help a patient anticipate tension headache triggers and either avoid them or apply relaxation techniques in response to them. Physical or chiropractic therapy can also be helpful in treating tension headaches. As these headaches are often caused by strain in muscle groups, massage or manipulation of those muscles can help with tension headache relief. Manipulation may relieve the tension or pain in the muscle groups affected, thus reducing pain. Massage also removes tension, and also may help alleviate the stress that contributes to tension-type headaches. Tension headaches are associated with a number of factors, such as stress, sleep deprivation, or even hunger. They are caused by strain in the muscle groups of the face or the neck. Treatments for tension headache often include massage or chiropractic manipulation to ease muscle strain. Pharmacotherapy plays a vital role in tension headache management. These include carbamezapine, acetominaphen, and NSAIDs. Acupuncture can also help to manage tension headaches. Another effective treatment is biofeedback, which applies relaxation and visualization to recognize headache triggers and avoid them. Tension headaches may be a relatively mild form of pain, but as they can occur on most days of the month and last for hours or even days, they can be a significant source of distress and discomfort, and adversely affect concentration and normal function. Manaka S. Application of acupuncture as a headache management tool. Rinsho Shinkeigaku/Clinical Neurology. 2012;52(11):1299-1302. Bendtsen L, Evers S, Linde M, Mitsikostas DD, Sandrini G, Schoenen J. EFNS guideline on the treatment of tension-type headache – report of an EFNS task force. European Journal of Neurology. 2010;17(11):1318-1325.